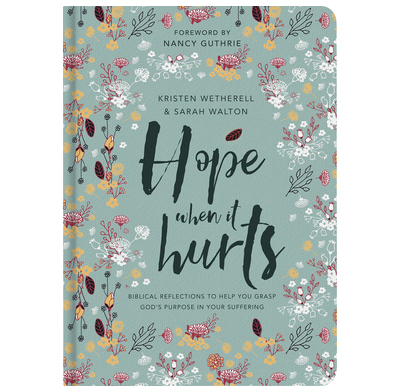 It’s great to have a book written by people who know protracted suffering and are still in the thick of it, which shows us how to apply the gospel to our suffering so that we can persevere and also grow through it. Honest but not self-focused, the authors faithfully explain and direct us to Scripture throughout, give us words to pray based on Scripture, and encourage further reflection on biblical truth. This will be an invaluable resource to those in the midst of suffering and to those who seek to support and encourage them. I thoroughly recommend it. If you are in the midst of suffering, or someday will be (and that means us all) you will do well to read this book. I found myself moved, reflected, and re-engaged with the truth of the gospel in the context of my own suffering—and then elevated out of it to focus on what is truly important: Christ, the gospel, eternity, and pleasing him. The whole book is full of empathy, a “coming-alongside” tone, and insight for your soul.